After much anticipation, renovations to the Surrey campus’s Spruce building will be complete in time for classes to be held there this fall. Spruce is a 27-year-old building behind Fir that has long been home to arts and science courses in Surrey. 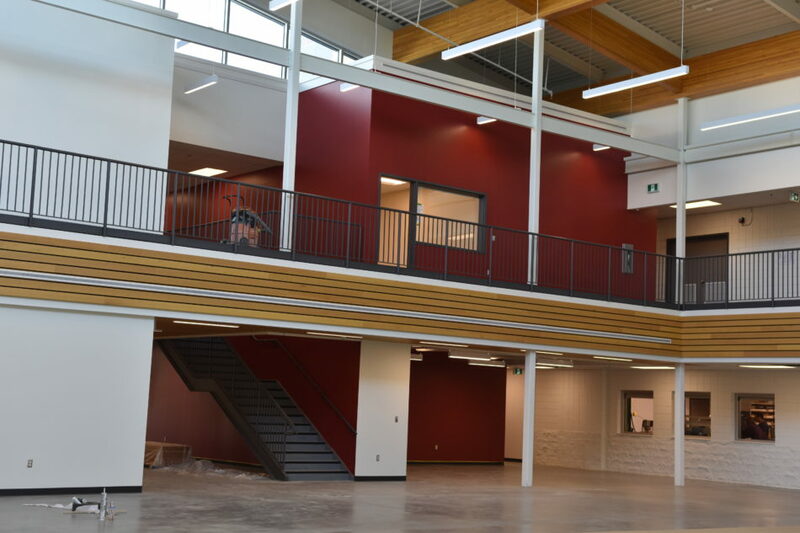 Early last year, the Government of Canada contributed $7.3 million to the renovations project, while the provincial Ministry of Advanced Education contributed another $14.7 million. According to Marlyn Graziano, Vice President External Affairs at KPU, the upgrades to Spruce were part of the federal government’s Post-Secondary Institutions Strategic Infrastructure Fund (SIF) initiative. The renovations were originally planned to be completed in April, but work on them needed to be extended until the end of the summer. Jon Harding, VP Finance and Administration at KPU, says that this was because the federal government recognized that the original timeline was too short for the completion of all the capital projects. “SIF projects were originally federally mandated to be complete by April 2018; however, the federal government reviewed this deadline based on the number of projects underway and granted all projects an extension until November 2018,” Graziano wrote in an email to The Runner. Harding adds that labour challenges also contributed to the delay. The ongoing construction has affected the amount of space available in KPU’s parking lots, which has led many students to rely on the overflow parking at Newton Athletic Park. Fine arts instructors also had to relocate their courses to other areas of campus. Alison Curtis, a fine arts student at KPU, says that the department is centered around the Surrey campus because the majority of courses are taught there. Due to the renovations, students had to deal with much longer commutes in order to get to class in Cloverdale, and the project’s extension only contributed to these difficulties. Despite the five month extension for the Spruce renovations, Graziano says the job is expected to be completed by the end of August 2018. According to her, the project is on schedule and should be functional for the start of classes in September, which is before the government’s completion deadline of November. The renovations will give Spruce a more “open” design with much more natural lighting than it previously had. It has been expanded to fill the previously unused courtyard behind the building and will feature a large atrium as a gathering space. Curtis says she is eager to see what the Spruce building will look like after the renovations. The ribbon cutting ceremony in celebration of Spruce’s renovation will take place in the building’s atrium on Sept. 28.